Henry can't wait until he can have a bee-suit of his own so he can help his Aunt Lilla with the sister bees. Day after day as Henry observes his Aunt Lilla work with the beehives on their Low country farm, he becomes fascinated with her bee suit and her ability to communicate with the bees. When he learns that the bees are getting ready to look for a new place to live, he tries to find a way to communicate with the sister bees to convince them to stay. This story about the importance of bees resonates in this era of bee disappearances. A young boy loves to watch his aunt work with the bees. But she won't let him help until he's older. Despite that he's fascinated by the suit and tools his aunt uses to communicate with the bees. He practices his own version of bee dancing, the way the bees share information about flowers with each other. When his aunt informs him that the bees may be leaving to start a new hive somewhere else, Henry is anxious to help keep the bees around. Bees are important in pollinating plants including many used by human beings. Yet many bees are disappearing around the United States. Stories like this one are important in helping children understand why that is of concern. This is also a sweet story about the relationship between a boy and his aunt, and the beautiful natural world. Jim LaMarche's illustrations are beautiful. He's long been one of my favorite illustrators because of the soft beauty of his art. The art in this book certainly lives up to that expectation of mine. Two children explore an abandoned house in the woods. As they wander through the building they wonder about the people who used to live there. Pictures on the wall, toys on the floor, and other leavings give clues about who may have once lived in the home. The children develop a greater appreciation for their own home as they look around at this house that once used to be a home. 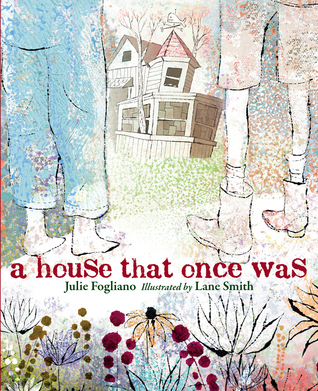 The text is poetic and beautifully en-captures the mystery of the abandoned house along with the children's curiosity and questions. 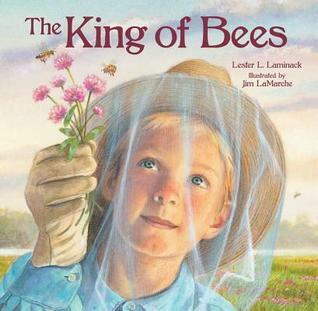 Lane Smith is at his best in this book with his stunningly beautiful illustrations. I especially appreciated the change between the style of illustration that occurs when the children start imagining who the previous inhabitants of the house might be. These illustrations are more solid and complete, like received answers. But in the end, those questions don't get answered and the children are left to imagine what may once have been. 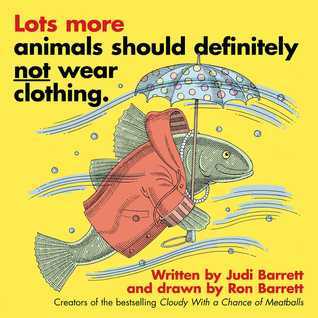 The premise of this book is that animals wearing clothes is silly. And it is. The book explains why clothes don't work for a variety of different animals including a frog, a bear (it would be unbearable), and a penguin. This short text and simple illustrations make this a fun book to share with preschoolers and kindergartners. This book is cute on its own but it would also make a fun way to introduce a lesson on animals and their adaptations. Lisa Wheeler and Molly Idle remind overeager little biters that biting is for food. 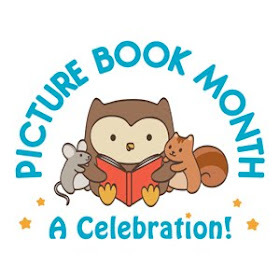 As a teacher, I am always looking for picture books that I can use in teaching. But I prefer books that aren't so focused on teaching a lesson that they forget to be a child-friendly book. I really liked this book because it teaches a lesson with a light touch. The lesson is obvious but the text and illustrations are so appealing that it doesn't matter. Biting is something that young children often do. That's normal, after all they have to learn to use those muscles and teeth. But sometimes biting can be used in inappropriate ways. 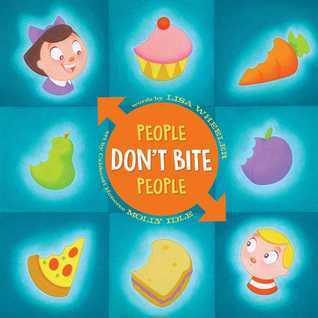 In a fun rhyming scheme, Wheeler shares with children the reason people shouldn't bite people. I also liked the fact that Wheeler doesn't just focus on the bad behavior that needs to be avoided, she also encourages children to use their power of choice and their words wisely. Molly Idle's soft illustrations add the perfect touch, highlighting both improper behavior and proper behavior, showing the difference between the two. I plan to use this book with my kindergartners when I teach them about how to treat each other and how to behave in the library.